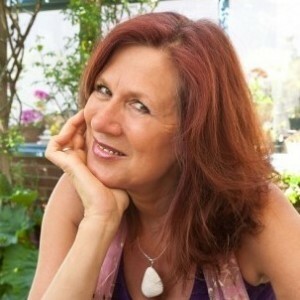 Barbara Louvrou a holistic health and wellbeing coach, has been involved in the nutrition industry for over 30 years. In the past 10 years Barbara has realised how the mind and body spirit connection reflects on our health. After much research and learning other modalities and health issues, something life changing had to occur. With the enquiry of what else is possible Barbara came across Access Consciousness that has changed her life in many ways. The missing jigsaws pieces were finally coming into place. So what is Access Consciousness? It is about empowering you to know that you know, presenting life in every moment without judgement of self or others, so everything is simply just what it is. What if everything that felt impossible was actually possible, and what would it take for you to realise the endless possibilities that there are. Access Bars are the first step into Access. Where by 32 points running through the head which store electromagnetic components of our beliefs about everything. There are bars for healing, money, creativity power, ageing, awareness and many more. Having your bars run which feels like a very relaxing treatment and releases beliefs and redundant thoughts which allow you to become more relaxed and at ease with everything in your life. Barbara offers bars sessions and also teaches people to do them for family, friends and clients so get information about Barbaras up and coming workshops in an area near you. Or You Can Also Arrange Group Bookings At Your Home So You Can Introduce Your Friends To This Fantastic Experience. Or You May Want More Information About Training In Access The Bars ? For more information please visit the website.